World leaders in SuperOxygenation systems. Speece Cone Installation, Columbia – Theta Midpoint. 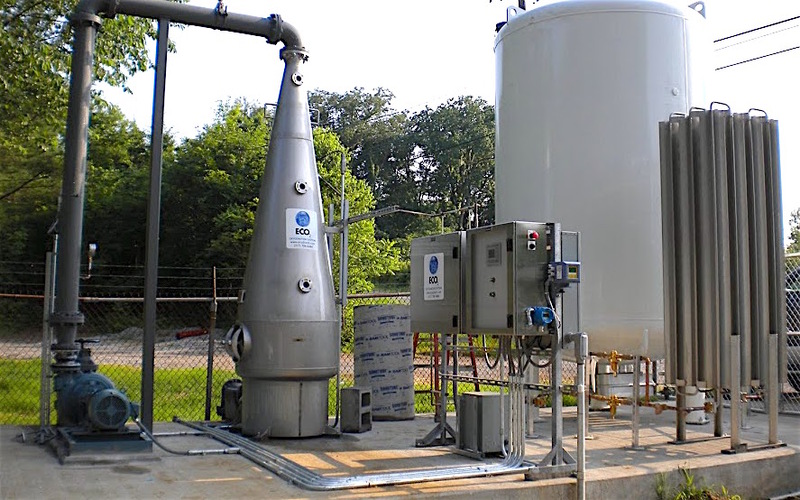 Founded in 2002, ECO2 has built their business on being an environmentally friendly alternative to traditional chemical treatments for water and wastewater. Initially focusing on odor and corrosion prevention, ECO2 has helped cities across the country solve their needs in both municipal and industrial applications. Simultaneously, ECO2 continues Dr. Speece’s work of improving water quality through SuperOxygenation in the nation’s rivers, lakes and reservoirs, while also advancing the technology for other gases in new applications. Our vision is to become the worldwide leader in the implementation of innovative pure oxygen transfer technology for water quality improvement. ECO Oxygen Technologies is in search of self motivated, highly qualified individuals who have a desire to succeed and grow within a fast paced and highly technical environment. If you meet the criteria, please submit your resume for review to careers@eco2tech.com. ECO Oxygen Technologies, LLC is an Equal Opportunity Employer. Mr. Clidence has been a key member of the technical development team since 2000, when the company demonstrated its first force main prototype. His experience includes working with plant operators, consulting engineers, government agencies, component suppliers and construction subcontractors to design, produce and install ECO2 SuperOxygenation systems to meet owner performance expectations. In addition, David supports sales, marketing and promotional programs through presentations to prospects and professional conferences. He was recently elected by peers to the Air Quality Committee of the Water Environment Federation, the national trade organization for water quality professionals. Mr. Clidence holds a Bachelor of Science in Civil / Environmental Engineering from Purdue University. Mr. Jacobs joined the ECO Oxygen Technologies team in December of 2008 bringing 10 years of experience in process improvement, project management, project fulfillment, and customer service. In his previous role, Mr. Jacobs served as an application engineer specifying and designing products to meet the customer’s need. Other previous roles include project management in residential construction, business consulting in supply chain management, and financial management as an officer in the United States Marine Corps. Mr. Jacobs received a degree in Mechanical Engineering from the U.S. Naval Academy and an MBA from Indiana Institute of Technology. Mr. Thompson joined the ECO Oxygen Technologies team in March 2018 and has served the water and wastewater industry since 2004. His experience ranges from process equipment research, development and commercialization to consulting engineering. The first decade of his career was spent researching, developing and commercializing dissolved gas process equipment. He managed over $2 million in research grants from the National Science Foundation and National Institutes of Health and is co-author on two patents. Starting in 2007, Mr. Thompson set up BlueInGreen’s national manufacturer’s representative network and supported this network until 2014. At this point, he joined the team of a nationally recognized consulting engineering and field services firm, The RJN Group, Inc., where he served as a Client Manager. In this capacity, Mr. Thompson maintained RJN’s vast client base and developed new clients and markets in the southern part of the US. Mr. Thompson is actively involved with both national and statewide water and wastewater organizations and annual conferences. He has served and/or currently serving on committees with the Water Environment Federation (WEF), Arkansas Water Environment Association (AWEA), Missouri Water Environment Association (MWEA) and Southwest Section of the American Water Works Association (SW AWWA). Mr. Thompson holds a Bachelor of Science in Civil Engineering from the University of Arkansas and a Master of Science in Civil Engineering also from the University of Arkansas. Ms. Trollier is a passionate and dedicated water treatment professional, with over 10 years in the water and wastewater industry. Originally from the mid-west, Ali attended the University of Wyoming where she obtained a BSME degree, and her EIT license. Ali has an in-depth knowledge of municipal, environmental, and industrial water treatment through her experience at Severn Trent Services (ClorTec division), Nalco Chemical, Mazzei Injector Company, and Hach Company, helping to solve water problems in Southern California. Ali recently relocated to Central Florida where she became the Southeast Regional Sales Manager for ECO Oxygen Technologies in November of 2016. Ali is excited to use her background in aeration, oxygenation, and superoxygenation to help solve problems with a chemical-free, and environmentally friendly solution. Mr. Grimes joined the ECO Oxygen Technologies team in January 2018 bringing 7 years of sales experience in the water, wastewater and environmental service industries for DS Waters of America, Schlumberger and OMI Industries. While with OMI, he spent more than 3 years as an odor control specialist managing domestic sales for the eastern half of the U.S. In addition to his knowledge in odor abatement, he brings expertise in customizing solutions for many industrial applications including the industrial and municipal wastewater treatment, pulp and paper processing, food processing, solid waste and manufacturing segments. Mr. Grimes is based in Dallas, TX and is involved with the Water Environment Federation (WEF) and the Water Environment Association of Texas (WEAT). Mr. Oak is also Chairman of Cripe, a 79-year old regional architectural and engineering firm. He has been involved in the firm for over 40 years, and has served as the majority owner, President and CEO for 24 years. During Mr. Oak’s tenure, the Company has grown significantly and has received several awards and recognition for its growth potential, progressive management style, best places to work, and design excellence in a green environment. Mr. Oak holds a Bachelor of Science degree in Civil Engineering from Purdue University, a Masters of Business degree in Real Estate from Indiana University and is a registered Professional Engineer. Mr. Oak is a proud member of the Native American community and is a descendant of the Sault Ste. Marie Tribe in Michigan. He has held numerous leadership positions on both for profit and non-profit boards, has been recognized by the governor of the State of Indiana as a distinguished Hoosier and has received legacy awards from both Purdue and Indiana Universities. Dr. Speece is currently Professor Emeritus of Civil and Environmental Engineering at Vanderbilt University specializing in the fields of anaerobic treatment of industrial wastewaters, gas transfer systems, supplemental oxygenation of rivers and reservoirs, GSAR modeling of chemicals in environmental processes, and response of hazardous chemicals to environmental biota. Dr. Speece invented the Speece Cone that is the basis for ECO2 SuperOxygenation technology. Dr. Speece holds a Bachelor of Science in Civil Engineering from Fenn University, a Masters of Engineering in Civil Engineering from Yale University, and a Doctor of Philosophy in Civil Engineering from the Massachusetts Institute of Technology. Mr. Wurster is a member of KJS, LLC, which is the largest investor in Eco Oxygen Technologies. He has had a wide variety of owner/manager experiences in construction equipment companies and was a principal owner of Wurster Construction Company, a prominent commercial and industrial contractor in central Indiana. He has also developed some major commercial properties and owns a vast majority of the bowling centers in central Indiana. Mr. Wurster also has had many experiences in financing start-up ventures. Tom Dapp is owner and Chairman & CEO of Gradex, Inc., an Indianapolis-based heavy-highway company he founded. Gradex, celebrating its 36th year, specializes in grading, excavating and utility construction in the public and private sectors and on residential, commercial and industrial sites. Tom is a graduate professional engineer from the University of Wisconsin where he also obtained his MBA. He is currently Chairman of the Indiana Construction Association and a current Board member of the Greater Indianapolis Chamber of Commerce and is Chairman of the Infrastructure and Environmental Committee as well as serving on the Economic Council and Transportation Committees. He is a Board member of the Carmel Chamber of Commerce and the Carmel Library Foundation where he served as past President. Tom also is a Director of the Western Golf Association, where he is active in promoting the Evans Scholars Program having been a recipient of that scholarship. Honors include being designated a Distinguished Hoosier by Governor Orr, selected to Who’s Who in Construction, Design & Engineering by the Indiana Business Journal, as well as being chosen as one of the 30 most influential persons in construction in the last 30 years. Tom is a Blue Chip Award recipient and a past Board member. He was recognized as Contractor of the Year in 1999 and is a SIR Award winner. Dr. Tchabanoglous is currently Professor Emeritus of Environmental Engineering in the Department of Civil and Environmental Engineering at the University of California at Davis. He received a Bachelor of Science degree in civil engineering from the University of the Pacific, a Master of Science degree in sanitary engineering from the University of California at Berkeley, and a Ph.D. in environmental engineering from Stanford University. He is also a registered civil engineer in California. Dr. Tchobanoglous’ principal research interests are in the areas of wastewater treatment, wastewater filtration, UV disinfection, aquatic wastewater management systems, solid waste management, and wastewater management for small systems. He has authored or coauthored over 350 technical publications, including 12 textbooks and two reference works, including collaboration on the industry standard, Wastewater Engineering: Treatment and Reuse, published by Metcalf & Eddy.